After viewing a few talks it was clear that everyone was on the same wavelength. A lot of talk around the recent SXSW festival – trends including augmented reality, virtual reality, mixed reality (or whichever reality you prefer). Jon Biggs at MediaMonks opened with the fair point that it’s becoming somewhat difficult to summarise augmented reality – is it data layers? Is it Pokemon Go? A novelty? Or is it VR? However you choose to describe it, there’s no denying that it’s gaining momentum at an unbelievable rate: in 2014, the industry generated $5 billion, and by the end of 2017 it is estimated to be at $300 billion. Having come a long way since the marker technology and QR codes, it’s now marker-less and can assess its surroundings, calculate a room’s depth and provide a much more realistic experience. Then there were the discussions around Artificial Intelligence. It was great to see the Internet of Things (IoT) having an impact on everyday tasks and being integrated with already existing objects in a way that’s practical and useful. Take L’Oreal’s new smart hairbrush for example – a hairbrush that uses AI technology to detect brushing patterns and collect information from your scalp, connecting to a dedicated app to measure hair quality and make recommendations to improve hair health. 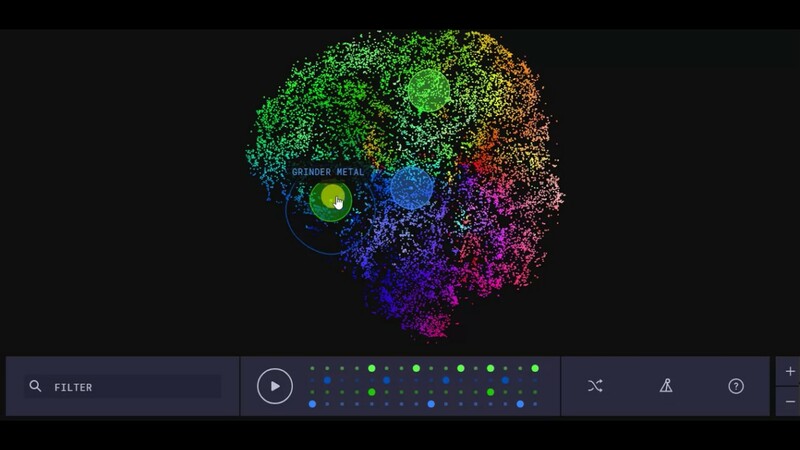 Google’s Patrick Collister presented a range of AI experiments they’d carried out, everything from Autodraw, Thing Translator and The Infinite Drum Machine, to robots not being far off from getting to number one in the music charts… (https://www.youtube.com/watch?v=LSHZ_b05W7o). Admittedly some of the results were more hilarious than inspiring, but the power and potential was clear to see. You can check out their full range of experiments here. So, after a long day of sitting and listening with my pen and pad, my head hurts but the sun has finally come out. The future is looking bright so watch this space.